When it comes to Fansipan, visitors often imagine trekers carrying luggage and conquering wild trekking trails. However, that view has now become erroneous because Fansipan cable system, now conquering Fansipan has never been so easy. Sapa is considered to be paradise on earth for the stunning scenery, the unique culture of hill tribble people and the cool climate of high mountains. The Fansipan peak, which is recognized as the peak of Indochina, has always been the target of adventure conquerors. Now with the brand new cable car system there is even more reasons to choose Sapa for your Vietnam holiday. 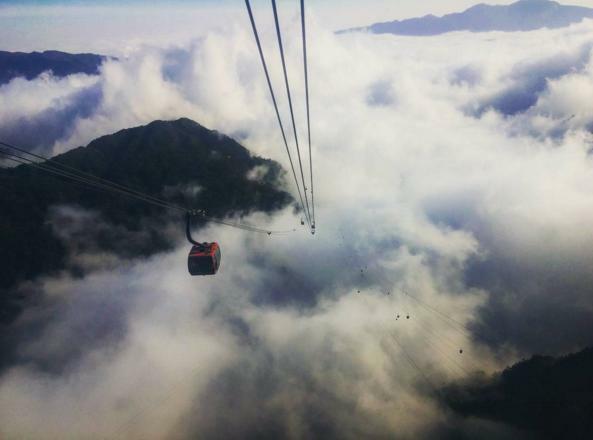 Sapa cable cars make it way easier to conquer the top mountain of Hoang Lien Son range. Many people say they never thought of conquering Fansipan by trekking. As the climb is real tough and it takes a few days to get to the top, even for the most experienced climbers. It requires good preparation of gears, health condition and urge to conquer. Fansipan peak is now for everyone! Sapa cable cars make it even more amazing to visit this heaven on eart What’s so special about Sapa cable cars? 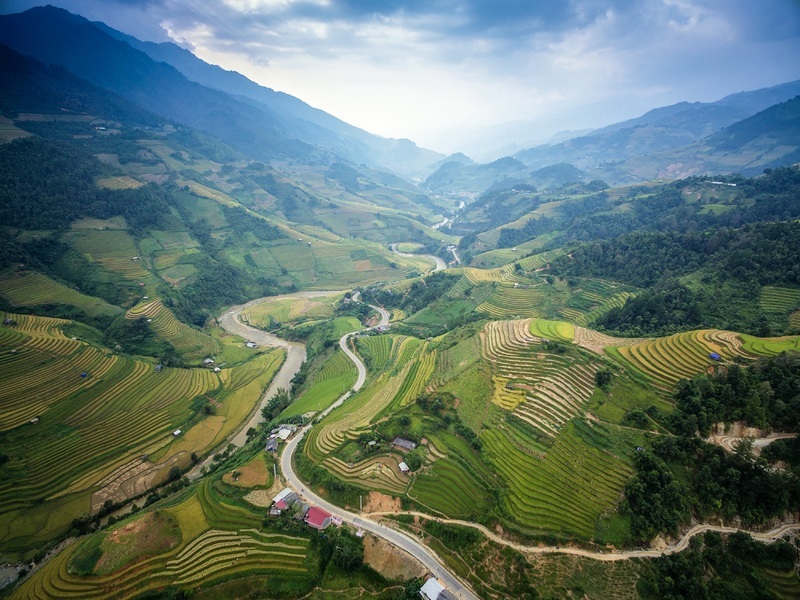 While experiencing Sapa cable cars tourists will love the feeling of soaring through the clouds, leisurely enjoy the magnificent scenery and picturesque view of Muong Hoa valley and Hoang Lien Son national park along side with the striking peak of Fansipan the top of Indochina at the height of 3.143m above the sea level. Conquering Fansipan Mountain, “the roof of Indochina” now easier than ever. With a cablecar system just opened, you have only 15 minutes to the top instead of 2 - 4 days, crossing the challenging route as before. Measuring 6,282 meters, the Fansipan Cable has been recognized by the Guinness Book of World Records as the word’s longest three-rope cable car route. Each cable car is capable of carrying 30 to 35 passengers, and the whole system can transport up to 2,000 tourists per hour.